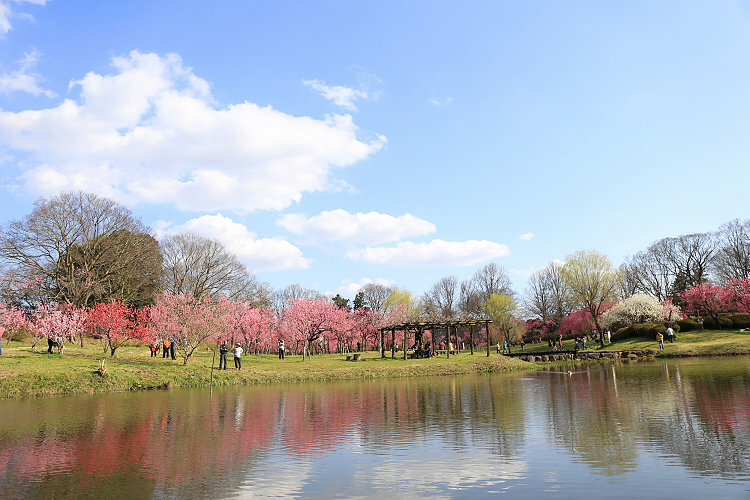 There are five kinds and 1500 peach blossom trees are abloom. And such a sight is like an earthly paradise! The appearance reflected in the lake is also beautiful and many people come here the photogenic spot of a superb view.